He gave this advice in 1929 to anthropologists engaged in the collection of musical instruments, advice which seems prescient indeed, as distinctions between sound and music are dissolved and re-articulated in contemporary thinking about the sound and sound objects. Such objects have been amassed over 130 years of recording, collected, documented and stored in archives, lofts, memory sticks, phones and clouds, while new technology creates exciting new sonic possibilities: for example, electronic artist Aphex Twin can conduct an orchestra by remote control, engineers use microphones to capture subterranean explosions, and sound designers use ambisonics to encode sound fields with incredible fidelity. At this exciting time in the history of sound recording and objects – when the influence of the commercial recording industry is declining, and the age of personal sound production and inter-personal distribution is proliferating –several key questions arise: What methods and resources might scholars use to collect, analyse, create and use sound? How best might we conceptualise the relationships amongst sound archives, museums, contemporary communities and soundscapes? What type of knowledge is it possible to achieve and share through sound and sound-producing objects? How does the creation and sharing of sounds influence and change societies? 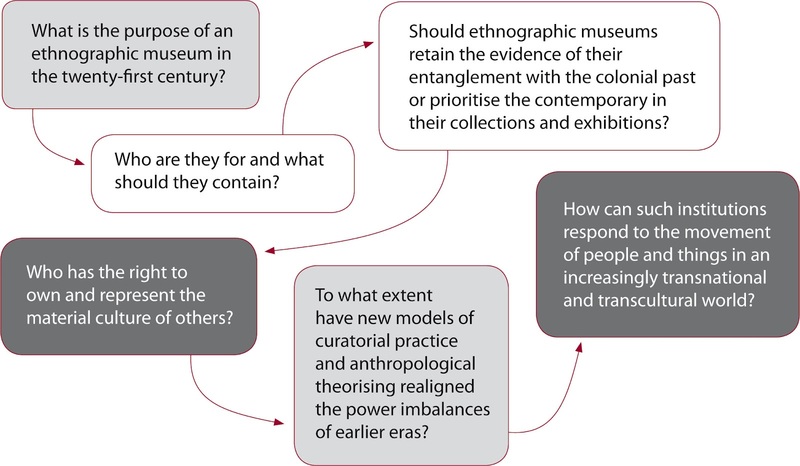 This one-day conference is hosted by the Pitt Rivers Museum, and seeks interdisciplinary engagement with these questions. Contributions are welcomed from anthropologists, musicologists, acousticians, historians, geographers, organologists, sound engineers, song collectors and sound artists – in fact anyone engaged with the production and analysis of sound. Proposed abstracts for presentations are welcome. Deadline: Friday October 19th 2012. The World at Your Feet will be held 20 - 21 March 2013 at the University of Northampton. 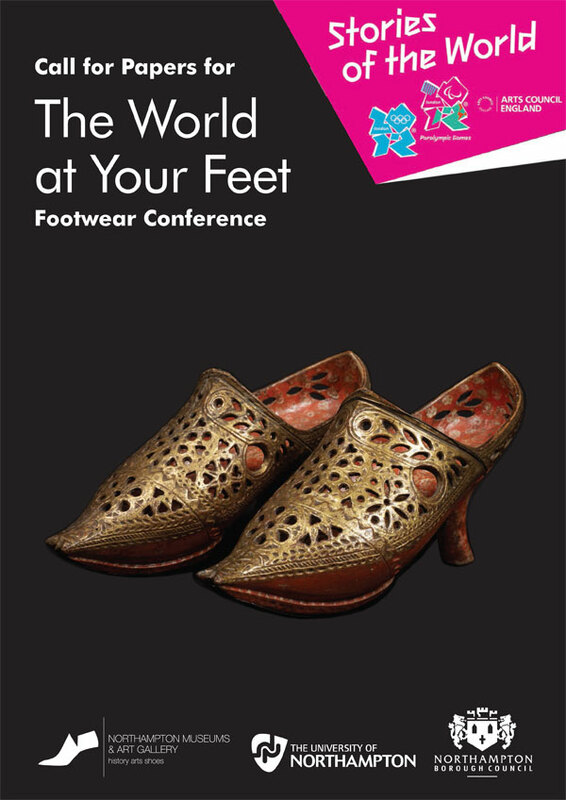 The conference aims to foster debate and discussion under the theme of World Footwear. This is a cross disciplinary conference and we aim to attract those from different academic disciplines including, but not exclusively, fashion and design, sociology, anthropology and ethnography, history and psychology. We aim to bring those together interested in design and fashion but also those interested in the history and cultural significance of shoes. The University of Northampton and Northampton Museum and Art Gallery supported by Northampton Borough Council invite you to submit papers. I visited Buxton on the 8 September with some friends. On our way up the hill to one of the best second-hand bookshops in England, Scrivener's, we passed by Buxton Museum and popped in. I have visited the small museum before and found the recreated library and information about two important local geologists, Professor Sir William Boyd Dawkins and Dr J.W. Jackson quite fascinating. This time, though I was not aware of it when I entered, I had more reasons to be interested. 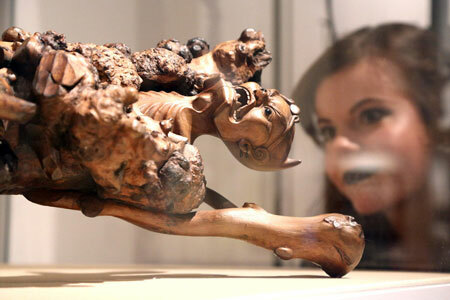 Treasures dating back more than 3,000 years have been dusted down for display at Buxton Museum and Art Gallery. In the first exchange of its kind with Derbyshire, the British Museum in London has loaned the Museum five precious items - a 13th century BC Egyptian pyramidion, three gold and silver Inca human figures and a model of a North American canoe. They all have links with explorers and adventurers from Derbyshire's historic past, including the founding father of British Egyptology Sir John Gardner Wilkinson and naturalist Joseph Banks. The exhibition also features dozens of curios and artefacts from the council's own collection as well as from Derby Museum and Art Gallery and Bakewell Old House Museum. Buxton is probably one of those museums which has had wildly fluctuating levels of financial support and staffing over the last few years, it certainly looks like that. Some areas have been well-resourced (like the Boyd Dawkins area) and are none the worse for not being cutting-edge in their design, others - like this exhibition - strike the viewer as a little 'thrown together', making the best of good local and national collections but having little money for 'fancy' exhibition design. The exhibition is rather an ad-hoc assemblage of some good ethnographic specimens, random 'tourist' collections and social history artefacts as well as archaeological objects mostly coming from Derbyshire museum collections. I would guess that the majority of the items are usually held in store. This diversity is confirmed by the wide range of the objects loaned by the British Museum, presumably as part of its Partnership programme, though Buxton museum is not listed as a Partner. The objects are arranged on the walls and in a few glass cases in a loose geographical arrangement. The only linking theme appears to be that they have some (loose) connection with Derbyshire people. The exhibition has no object labels but copies of a soft-cover catalogue are available though it contains little detail. British Museum representative Jack Davy and Derbyshire museums manager Ros Westwood carefully unpack the pyramidion on loan to Buxton Musuem and Art Gallery. However, the exhibition is a worthwhile attempt at reminding local people who, outside the summer holidays, probably form the majority of visitors, that Derbyshire (a landlocked and heavily rural county) does have many connections with the outside world and has always engaged with it. Buxton Museum and Art Gallery on Terrace Road is open Tuesday to Friday, 9.30am-5.30pm; Saturdays, 9.30am-5pm and Sundays, until September 30, 10.30am-5pm. By the way, when I arrived at Scrivener's I came across two volumes relating to Pitt-Rivers that I had been searching for for some time, so the virtue of being an accidental museum exhibition visitor was rewarded amply and quickly. We are very pleased to announce 2 forthcoming lectures in the Pacific Islands Research Network (UCL) Occasional Lecture Series. What use is archaeology to anthropology, or anthropology to archaeology: A New Guinea highlands' view? 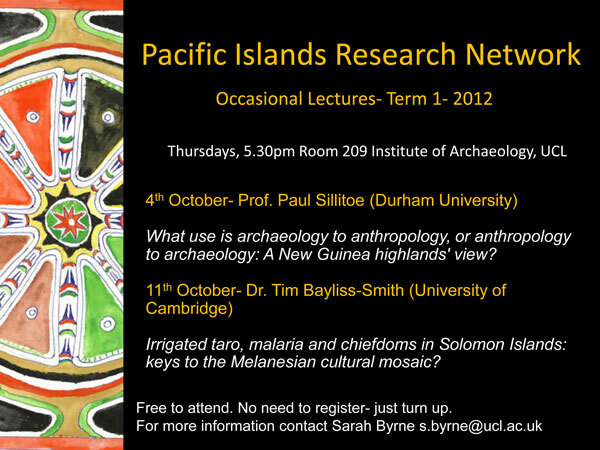 Thursday 4th October - Professor Paul Sillitoe (Durham University)5.30- 7.00 Room 209, Institute of Archaeology, UCL. Irrigated taro, malaria and chiefdoms in Solomon Islands: keys to the Melanesian cultural mosaic? 5.30- 7.00 Room 209, Institute of Archaeology, UCL. Free to attend. No need to register- just turn up on the night. 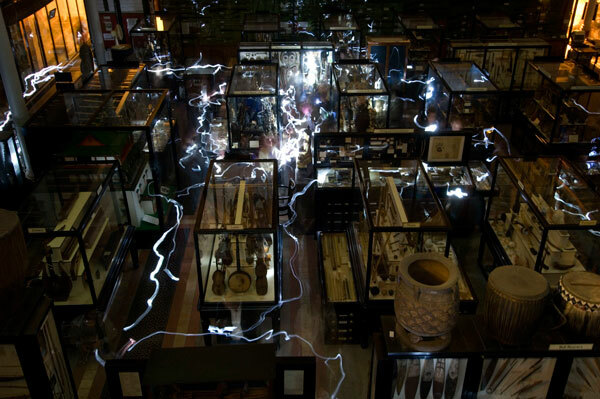 Pitt Rivers Museum, University of Oxford. 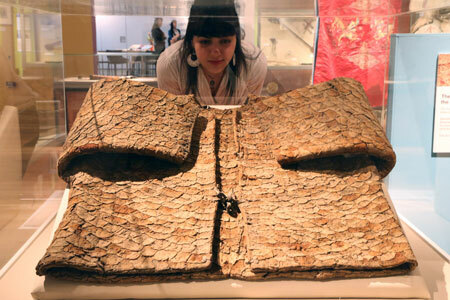 An opportunity to critically interrogate this temporary exhibition at the Pitt Rivers Museum. Made for Trade features historic and contemporary objects from the museum’s diverse collections which demonstrate the impact of local and global trade. 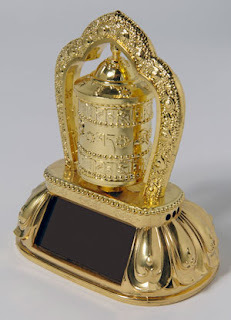 Displays include a solar-powered prayer wheel from India and a shopkeeper’s coffin from Ghana. Julia Nicholson, co-curator of the show with Faye Belsey, will give an introduction to the exhibition and its origins in the morning. In the afternoon Sue Giles (Senior Collections Officer - World Cultures, Bristol City Museum and Art Gallery) will offer her own critical perspective on the display and a panel including the exhibition curators, designer and conservator, will have the opportunity to respond. This event costs £8 for MEG members, £10 for non-members, to include lunch at a local restaurant. 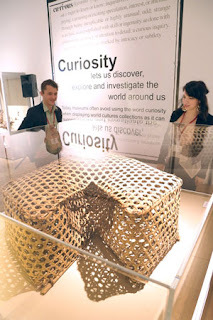 The Curious Case of… explicitly draws its inspiration from the cabinets of curiosity popular in the 18th century, exploring how objects can inspire curiosity and a desire to know more. It is part of Journeys of Discovery, a project in the north east of England which used the voyages of Captain Cook (born in the region) as inspiration for the development of exhibitions at the Oriental Museum, Durham; Dornam Museum, Middlesborough and Great North Museum, Newcastle. The project is part of the government’s Stories of the World strand of the Cultural Olympiad, and sought to interpret World Cultures collections by engaging with young people from the local community. Members who attended this year’s MEG conference will remember a presentation by several of the young volunteers involved in this project. The young curators worked with communities around the world, artists and museum professionals to challenge how objects can be displayed and interpreted. The Curious Case of… is book-ended by the work of local contemporary artists. The introduction is an installation by artist Dawn Felicia Knox intended to ‘spark the same sense of curiosity in the viewers’ as was provoked during visits to the stores. The exhibition ends with a stylized Victorian sitting room with its own ‘cabinet of curiosities’, creating a comfortable seating space in which to explore the themes of the exhibition through books and artists' work. Amongst my favourites here were James Maskrey’s brilliant jars of imagined delicacies collected during Cook’s first voyage in 1768. A screen at the heart of the cabinet also features images uploaded to flickr by visitors to the exhibition. 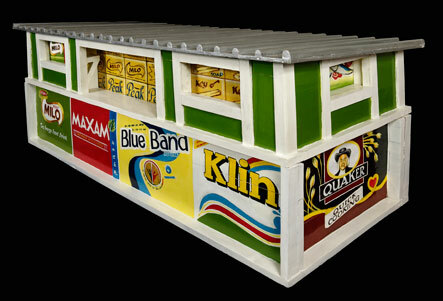 Themes touched on by the exhibition are varied and wide-ranging, as are the artefacts on display. Each object was chosen by a young curator during a series of visits to the reserve collections. All of the volunteers chose objects that inspired their curiosity and provoked them to find out more. The objects are identified by a brief object label (including name, region and possible date and collection) supplemented by a story label. Amongst the highlights of interpretation were the lantern slides of Joseph Burtt and the associated slide show booth with audio by two locals originally from Angola and part of the CultureRISE project. The Caribbean fish trap is striking in its size and simplicity, but inspired a story of the revival of this tradition in order to manage fish stocks. A samurai sword from Japan is interpreted through a Manga comic strip, commissioned from artists in Kenya - an unusual yet engaging alternative to a written label. The absence of a dedicated ethnographer on staff at the Great North East Museum means that guidance was sought elsewhere, from retired curators, academics and cultural organizations within Newcastle, as well as by contacting source communities elsewhere. Although the level of research differs for each object, this does not seem to translate into an uneven balance in the interpretation. There are artefacts where the absence of information about the object or its poor quality become the story. These are generally less successful, and access to wider expertise would have enhanced these stories and facilitated further research. My only criticism is with regard to this, as there are certain decisions about objects and the use of language that could have been handled with more subtlety, and it may have been preferable in some cases not to have included them at all. The curators have clearly taken audience engagement seriously, and provided interactives for a variety of age groups. These included shoes and clothing to try on, a series of stamps to collect in a ‘passport’ throughout the exhibition, as well as the ability to record comments on paper that are posted on the wall and online through networked ipads. When I saw these on opening night I speculated on how well they would survive regular use, but when I revisited six weeks later, although there had been some difficulties, the interactives were largely intact. Engagement, dialogue and participation are a key strand throughout the exhibition. You, the visitor, are invited to engage and reflect in much the same way as the young curators did in order to develop the exhibition. The aim of Stories of the World was to engage young people in the research and interpretation of ethnographic objects in museum collections, and to do this through engaging with artists, musicians, source communities and curators. The project overall needs to be evaluated and its aims and purposes critiqued. In order to do this we need to examine its results, including this exhibition, review the methodologies used, and assess the impact on the young curators who were specifically targeted. The Curious Case of… is an interesting and entertaining exhibition which provides a different approach to an important collection. It has clearly been enjoyed by the local community and visitors, with very positive comments online and written in the gallery. The exhibition closes very soon but, if you get a chance, I would recommend a visit. There are two curatorial posts and one conservation post currently being advertised. The post holders will work on the World Cultures collections, including the recently transferred collections of the former British Empire & Commonwealth Museum. In 2012 BMGA has now taken on responsibility for the collection formerly of the British Empire & Commonwealth Museum, which has added substantially to our own existing collection. We are offering one new post and one job share post (with the existing CO World Cultures) who will report to the Senior Collections Officer (World Cultures) and play an important role in developing our approach to, and use of, this new collection alongside our own holdings of ethnography and foreign archaeology. Existing strengths in Egyptology and collections representing peoples from parts of Africa, the Americas and the Pacific have now been supplemented with more comprehensive collections from the former Empire and Commonwealth. Planning for the redevelopment of Bristol Museum & Art Gallery is now in its early stages and it is envisaged that the display of the World Cultures collection will be an important part of that new approach. Improving access to stores and encouraging other uses of the collections is also vital. The successful candidate will be expected to have existing museum experience and expertise in one area relevant to these collections along with drive and ambition to promote their relevance and importance. The conference will mark the completion of the five-year RIME project funded by the European Union, and involving ten major European ethnography museums. This conference aims to move the debate about the purpose of ethnographic museums in the post-colonial period forward and to envision new ways of thinking and working in those museums in the future. Further details will then be sent to you when registration starts. The project will focus on the 1513 magnificent late nineteenth century photographs made of Maya archaeology by Alfred Maudslay, their relationship with other kinds of recording and their subsequent ‘life’ in the Museum. The student will have scope, within the project parameters, to develop an emphasis in photographic history, collections history, history of science, or museum practice in archaeological heritage. The PhD studentship will be based at PHRC which undertakes leading innovative research on photography and its practices from the early nineteenth century to the present day, and over a wide range of social and cultural processes. It has a dynamic and growing research community and an excellent research library for photographic history. The successful candidate will be expected to contribute to the development of this community and that at the British Museum. Candidates might come from a range of possible disciplines: art history, history of photography, museum and heritage studies, science and technology studies, material culture studies, archaeology, visual anthropology, or visual culture studies. A knowledge of Meso-American archaeology is not a requirement. For a more detailed description of the PHRC please visit our web site or contact Professor Edwards (eedwards@dmu.ac.uk) who will be happy to discuss the studentship further. Applications are invited from UK or eligible EU/overseas students (please check http://www.ahrc.ac.uk/FundingOpportunities/Documents/GuidetoStudentFunding.pdf Annex A for residency requirements) with a good first degree (First, 2:1 or equivalent) and MA in a relevant subject. Applications are welcome from MAs completing 2012. The CDA scholarship is available for three years full-time study starting January 2013, providing a bursary for both maintenance (currently c. £14,500) and fees. To receive an application pack, please contact the Faculty Research Office via email at ADHresearch&innovation@dmu.ac.uk. Completed applications should be returned together with a full CV, two supporting references, a statement explaining your interest in the project, and an example of your written work of c.3000 words.